HomeOpening a locked closet door without a key. Opening a locked closet door without a key. From this point all it takes is some tugging on the wire hanger to force the latch aside. 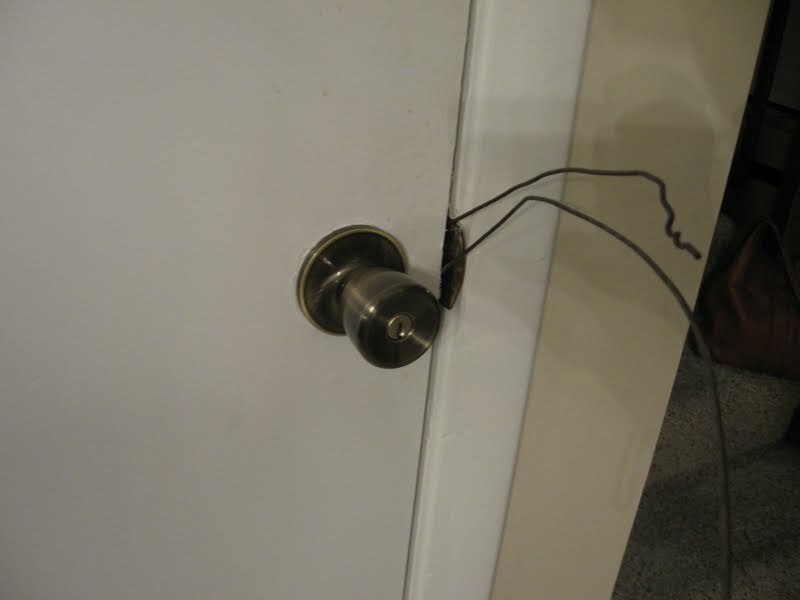 If that doesn’t work, you can use a knife to move the latch far enough out of the way for you to open the door. The knob mechanism will still be locked, so remember to unlock it after the door opens, otherwise you’ll have to start this procedure all over again should you mark your triumph with a celebratory slam of the door.